Fun art projects aren't just for preschoolers! The activities featured below all relate to the common core. Plus, kids can take their science experiment home to hang on the fridge! 1. Explore force, energy, and motion with artful physics! 2. 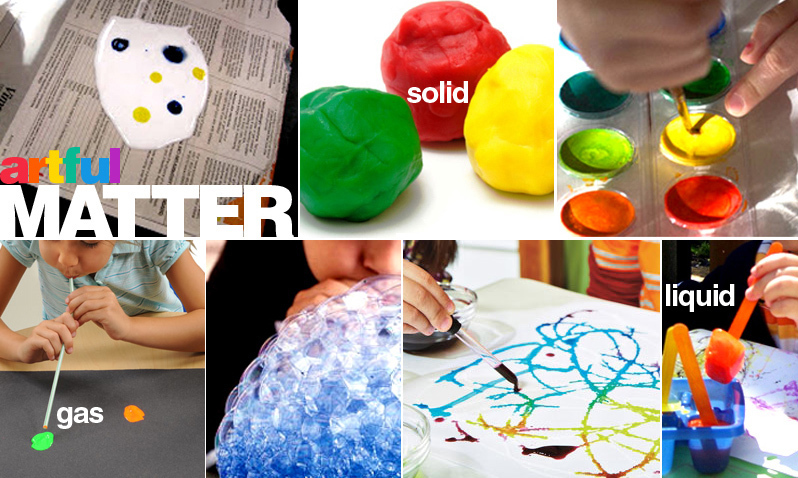 Learn about solids, liquids, and gases with artful matter! 1. Paint with watercolor and watch a solid transform into a liquid!